Dr. Lisa Miller currently serves as Companion Therapy Laser’s Veterinary Medical Director and is a graduate of the University of Tennessee, College of Veterinary Medicine. After graduation in 2003, Dr. Miller completed an internship in internal medicine and then became certified in canine rehabilitation therapy at the Canine Rehabilitation Institute. Working in a large referral practice, she practiced canine rehabilitation, sports medicine, neurological rehabilitation and acupuncture for several years before returning to general small animal practice. Dr. Miller has been working with laser therapy/photobiomodulation since 2006 and has lectured both nationally and internationally on laser therapy related topics at veterinary conferences, universities, medical association meetings, and advanced user seminars on the subject. Additionally, she has authored numerous articles on laser therapy for veterinary related publications as well as worked closely with several universities, assisting in the study design for research in laser therapy. 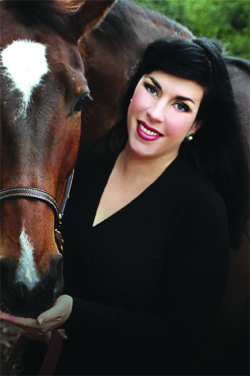 She has recently authored a chapter in the upcoming Wiley Blackwell Publications’ textbook Laser Therapy in Veterinary Medicine that will be published in 2017.